Starting today, qualifying applicants can apply for two newly constructed apartments in Greenpoint‘s Belvedere LXVIII. 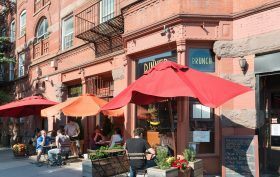 Located at 210 Java Street, the low-rise building sits in the heart of the neighborhood, minutes away from the water taxi, G train, plenty of old school mom and pop shops, and the increasingly hip retail and restaurant offer of the area. Inside the six-story structure are a total of 10 units, two of which have been set aside as affordable rentals; the one-bedroom is going for $947/month, while the two-bedroom is priced at $1,072/month.